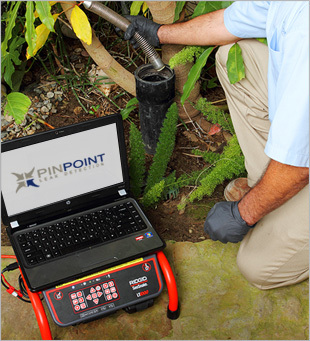 Pinpoint Leak Detection inspects the sewer and drain lines using high resolution camera equipment which is sent down through the pipes. This process not only transmits the image of the problem but also interfaces with other equipment to identify the exact location and depth of the problem so it can be marked on the surface above it. We will then create a detailed report that can be emailed to you directly from the jobsite.